Lightweight, oil-free primer creates an ideal makeup canvas. Colour corrects a range of concerns, preps for makeup application and wear. Colour glides on evenly, stays true. Benefit: Colour corrects redness for a neutral, even start. Benefit: Colour corrects discolourations and blemish marks for a bright, even-toned start. Benefit: Colour corrects dull, lackluster skin for a vibrant, radiant start. Benefit: Colour corrects dullness in deeper skin tones for a radiant, healthy-looking start. Benefit: Colour corrects yellow, sallow skin for a healthy, energized start. Benefit: Smooths skin's texture, preps for makeup application and wear. Smooth over entire face or where needed with fingertips, or makeup sponge before foundation. You'll be amazed how easily foundation glides on over Superprimer- the primer helps create a smooth, even canvas. It also helps foundation stay colour-true. It depends on your skin. There's a Superprimer for redness, dullness, discolouration and sallowness. If you simply want allover smoothing before foundation, try our Universal Superprimer-it's translucent and preps skin beautifully for makeup. If you have more than one skin concern, we recommend using a Superprimer to address one issue and a foundation to address the other. 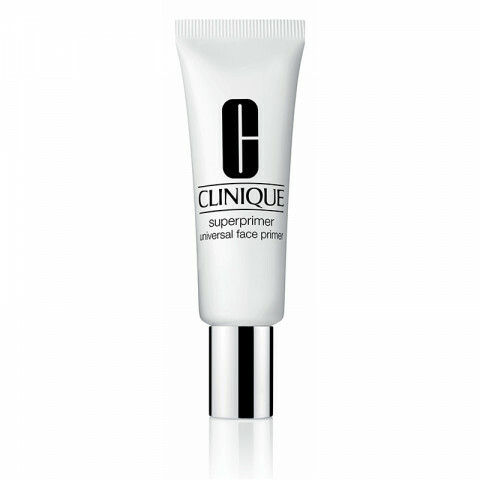 For example, if your skin has both redness and discolouration, pair the Superprimer formula for redness with Even Better Makeup, Clinique's foundation for uneven skin tone. Universal Superprimer is translucent, so wearing it alone is an option if you're pressed for time. But why stop there? For best results, team Superprimer with foundation. Together, these "best friends" create a flawless look. Not only did it not keep my makeup on (my face was oilier than normal) but it made me breakout horribly! perfect base before foundation. great formula. Use this everyday to prep my skin, makes my skin feel super soft and ready for foundation.